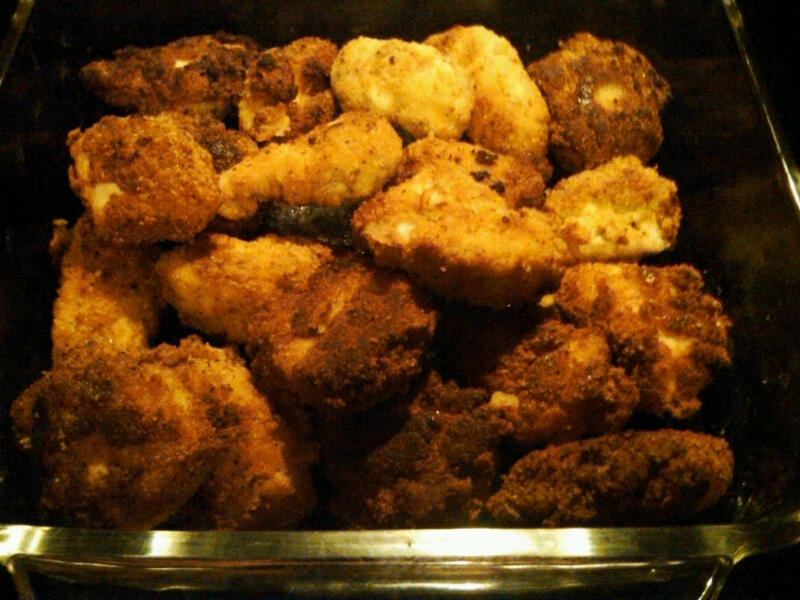 This was the first time I successfully made crispy chicken! I don’t make fried food very often, but I was in the mood for these. Slice chicken breast into nugget sized pieces. I found some organic chicken breast tenders I was able to just chop in half or thirds. Sift almond flour into a medium bowl. Stir in seasonings (feel free to add any other seasonings you like). In a separate bowl beat the eggs and stir in the yogurt. Stir until well blended. Dip the chicken in the egg mixture and coat well, then dredge it in the almond flour until evenly coated. Place the nuggets on a plate. Heat about a 1/2 inch of olive oil in a frying pan at medium heat. Place a single layer of chicken in pan. Cook for about 3 minutes on each side. The crust should be golden brown. You can cut open one of the nuggets to see if the chicken is cook through. If not increase the cooking time a little. Place the nuggets on paper towels to soak up any extra oil. I like to dry mine out as much as possible. Repeat until all the nuggets are cooked. Oh yum…these look kid friendly too. I made these for my 17 year old son tonight and he said they were “really good”. That is high praise indeed!